That's why she's so bitter now. Nobody considers her a beauty queen or a celebrity so she's posting these bitter posts about being being a strong woman and above 'petty' things like being a beauty queen. Like she forgot she joined a pageant to become one. Like she forgot she lost weight to fit into a mold she loathes now. Hypocritical much. This girl shady. What era does she think we're in ? 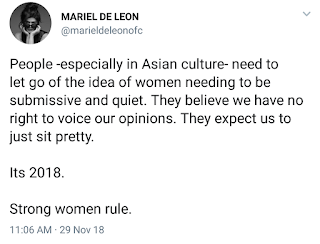 She just wrote 2018 but we have had two women presidents and women , educated and well bred do rule , but they're not annoying as Mariel. Bakit ang ingay ng babaeng ito? Anong gustong patunayan? Na woke siya at above it all? No one cares about you. What made you stand out is your boorish attitude. Where did that come from when you have parents who have been known in showbiz as simple, humble and kind? Nosy? No one is asking for your opinion yet you have been sticking around in all kinds of topics on social media. If you are independent and strong, why did you not do your best during your competition before? You are always full of excuses. People don't like you because of your negative attitude. Don't generalize the ASIAN CULTURE as an excuse for your being vulgar and crass. Ano nga problema ng batang ito ? Because she failed and it's everyone's fault (except her). Nope (Strong women rule). Yan ang natutunan niya sa nakagisnan niya at naacquire niyang mga learnings sa mga Celebrities ng West! Read Corinthians Para alam niyo! Pero Tama siya dun sa mas apektado pa ibang tao sa buhay ng iba kesa sa mga buhay nila mismo DAHIL NA DIN SA IDOL SYSTEM (Artista/Celebrity) NA NAKAGISNAN NILA! Na galing din sa West! 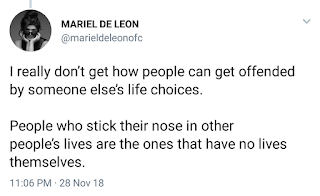 Stop it na Mariel. Nobody likes you. Empty cans make the most noise. Kasi girl, you rub off people the wrong way. You think you're above the rest of mankind and acting self righteous ang arrogant. People are just bringing you back to the ground. 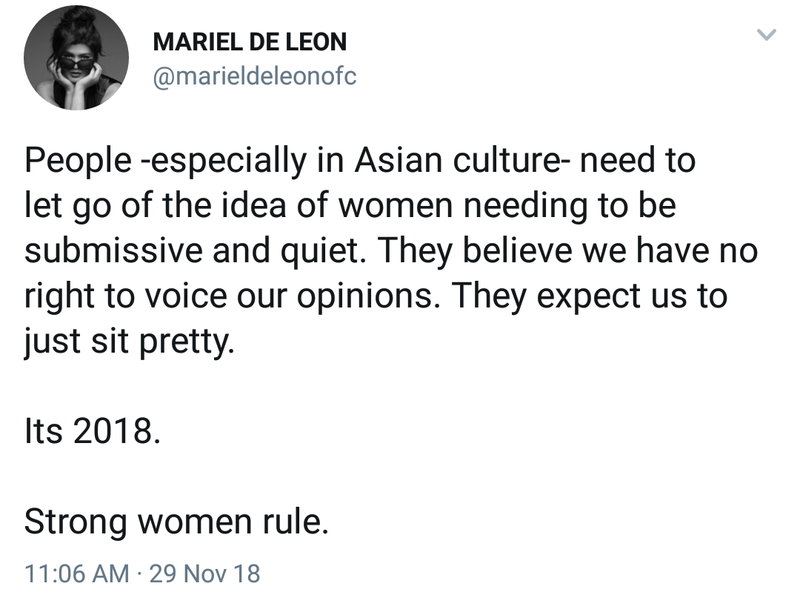 "strong women rule" is one of the reasons why feminism is seen in a negative way. women like her give the word feminism a bad name. this is not empowerment, this is "misandry"
True the fact na her parents seems to be the most humble? and has genuine auras. i wonder..
Grabe naman kayo maka bash. You don't know where she's coming from. Hypocrite? Maybe she realized something and it changed her perspective in life. What she did before will not define who she is now. Sa tuwing nakikita ko pagmumukha niya nababadtrip ako.. Bkig ganun? 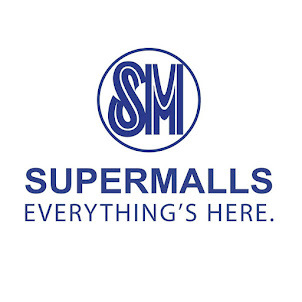 5:37 baka naaalala mo na magkamukha kayo. 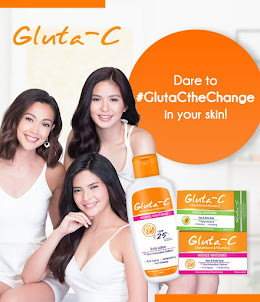 wlang nag imbita maski sa product endorsements or opening ng mga ano man yang or any activities,parties. huy guys pansinin nyo nmn daw xa... walang napala s beauty con so ngShowbiz..eh wala p rin napala.. cguro ibang field ka talaga girl... go find your self. Strong women do not shout out to everyone that they are strong. They just are. This is the lady na masyadong opionated pero hindi naman pinapansin... well papansin talaga... bitter talaga sya... no wonder hindi sya matawag na beauty queen. Masyadong sulky. too opinionated pero wala naman napatunayan.. haaaist kairita!